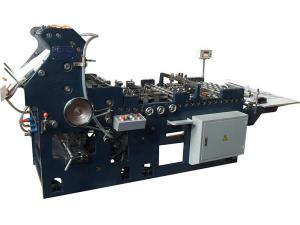 Express Post Envelope Making Machine ZF380 This kind of envelope machinery can apply to pasting express post envelopes, big-size Chinese-style and Western-style envelopes, which are between 120 gram and 350 gram in weight. 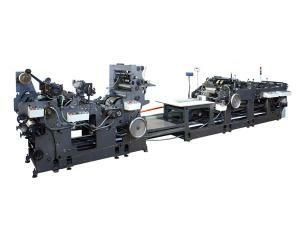 Automatic Envelope Making Machine ZF380A This type of envelope machinery, which is reliable, efficient and easy to operate, is mainly used to paste large and medium western style envelopes. 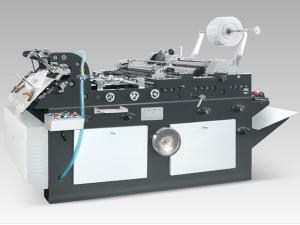 Automatic Envelope Making Machine (Pocket) The automatic envelope making machine ZF490B is specially developed for pocket envelope. 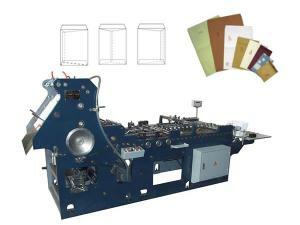 The production process of the envelope making machinery includes raw paper feeding, folding, gelatinizing, second folding, deviation rectifying, bottom cap folding, and top cap folding. 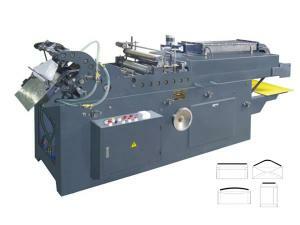 Automatic Big Size Envelope (Pocket) Making Machine This kind of envelope machinery is specially-designed for big size Eastern style envelope. 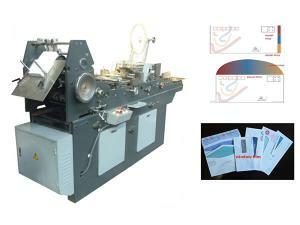 It is increasingly used for sealing and pasting various Chinese-style and Western-style envelopes and paper bags. 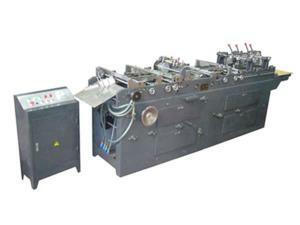 Auto Envelope Flap Gluing Machine This kind of envelope machinery is widely applied for gluing various large-size Chinese-Western envelops and pocket envelops, banker envelops, kraft pockets, etc. 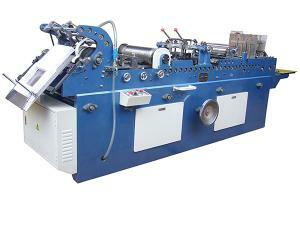 Self-sealing Envelope Making Machine This kind of envelope machinery is suitable for envelopes without folding tongue flaps. It can perform the functions of sealing, gluing, drying, two tongue flaps folding and counting. 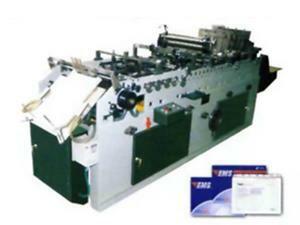 Automatic Flap Gluing Envelope (Pocket) Making Machine This type of envelope machinery is ideal for Chinese style envelopes. 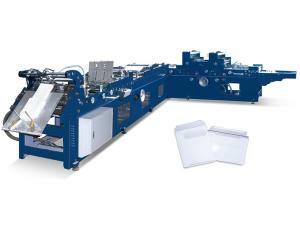 It can perform the functions of molding, sealing, gluing, scrip pasting and folding. 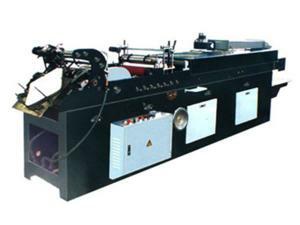 Envelope Adhesive Paper Sticking Machine This kind of envelope machinery is an ideal automatic equipment for sealing, rubber coating and paper-tape pasting of Chinese-style and Western-style envelopes, express post envelopes, thick paper, and paper boxes. Automatic Express Mail Envelop Forming Machine The paper sucking and feeding are carried out from the bottom of the express mail envelope making machine, realizing ceaseless paper feeding and high working efficiency. 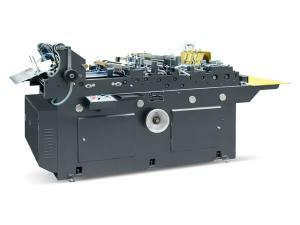 High Speed Envelope Machine Incorporated with advanced design, the high speed envelope machine H280 offers simplified production process. 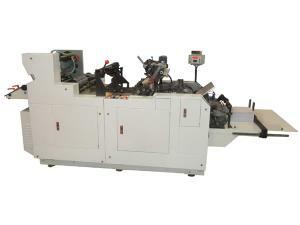 The envelope making equipment is highly competitive because of the high performance and high standard. 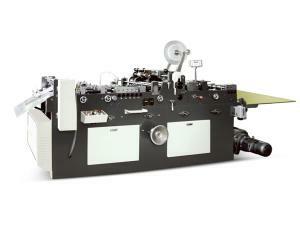 High Speed Automatic Envelope Making Machine Apart from the advanced conjugate cam, we particularly construct the high speed automatic envelope making machine with electrical apparatus control system from high-end suppliers, such as Siemens, Schneider, etc.